Our second pilot, a talented director of photography and a super positive person Vadim Ivanov shares his vision of our trip. We are happy to introduce you two mini-novels about lighthouses. And can’t wait for more stories! “There are no identical lighthouses in the world. They are all different. They have different color, heights, parameters. We are all equal in their sight. During this journey I realized that for me lighthouse is a symbol of care. 200 years have passed. We have GPS, new iPhone every month, but Fresnel lens has been intensifying light all this time and nothing can change it. There aren’t many things in our lives that do not change, that you can rely upon. So while there are Fresnel Lenses in lighthouses I’ll be doing just great”. 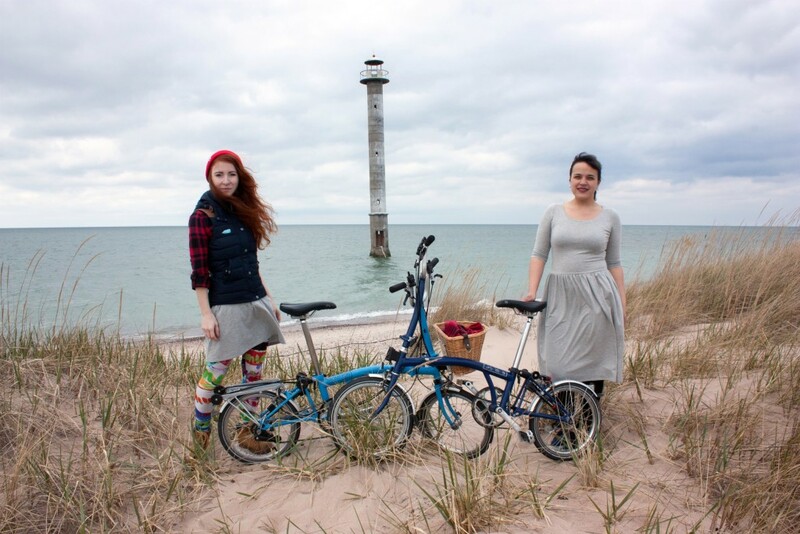 2 girls, 2 bikes, 2 cameramen, 1 car, 12 Estonian lighthouses, beautiful music, wild wind, cold sea and 9 minutes of pure inspiration – this is our Bikes&Lights video. Naudi! 2girls2bikes_Fullhd from vadim_iv on Vimeo. Bikes&Lights. Day 4. The road to the Holy Grail. 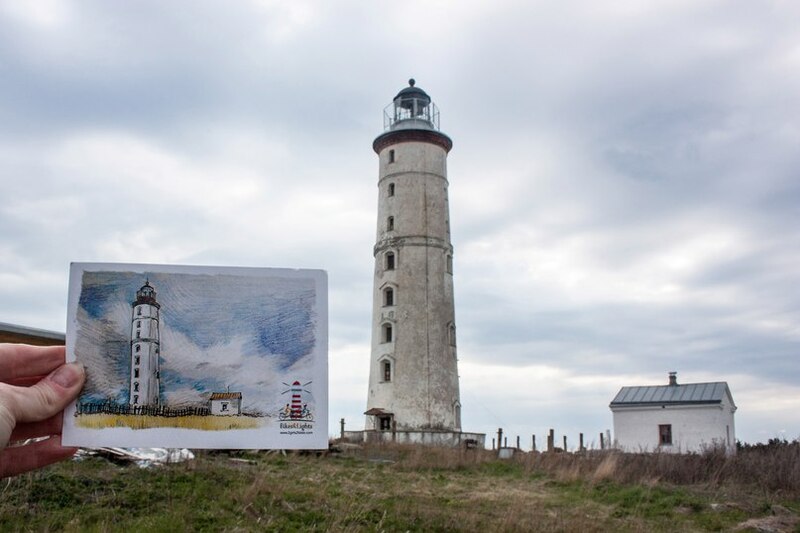 The Holy Grail – that’s how we called Vilsandi lighthouse because it is the lighthouse from our postcard and it was important for us to take exactly the same picture with it as in our drawing. 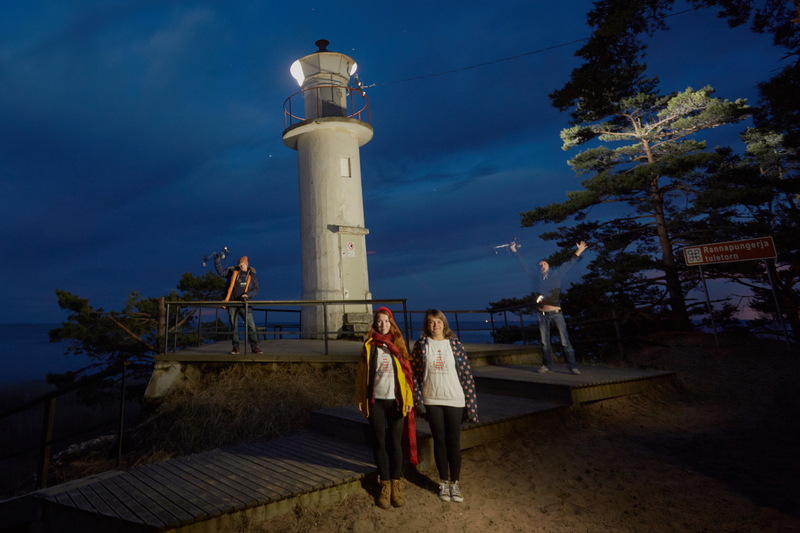 We regretted it later, though, as Vilsandi also appeared as God-only-knows-how-to-reach lighthouse. Bikes&Lights. Day 3. Falling lighthouses, flying cameras and palaces. We wish we could spend more time in our empty hotel, taking shower in every room and lying on all beds, but we couldn’t allow ourselves such luxury as ferry to Saaremaa island traditionally left early. We quickly packed, left money for the night on the table and continued our travelling. Bikes&Lights. Day 2. 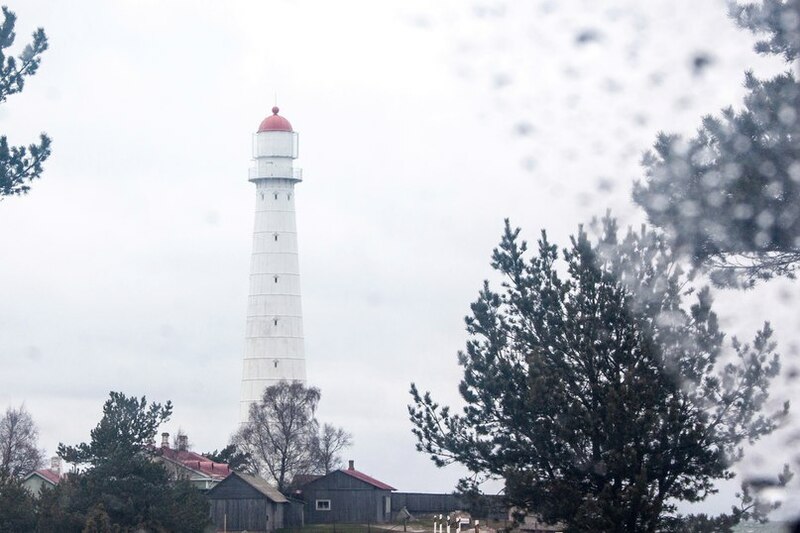 3 lighthouses of Hiiumaa island. Well, hello, rain! – we said while sticking our frozen noses from double blankets. The night has brought cold and gloomy skies were spitting raindrops into the window. For breakfast we had hot oats and tea. And also some thoughts about the benefits of traveling by car with bicycles. Bikes&Lights. Day 1. Hello, Estonia and fortune! 25 April started early at the edge of the city. We were sleepy but excited. It was the first day of adventure! Weeks of preparations, dozens emails to partners and lighthouse administration, several interviews and lectures, live of Life78 channel were left behind, only wind and magic were ahead! The trunk of our Hyundai ix35 was filled up with video and camping equipment, food and bags. We even weren’t able to put there bikes, so they were travelling in the car hugging with Tasha and Mila on every sharp turn. We also had big detailed plan, huge table with ferry schedules, arrival and departure times to every point – and we didn’t use it. 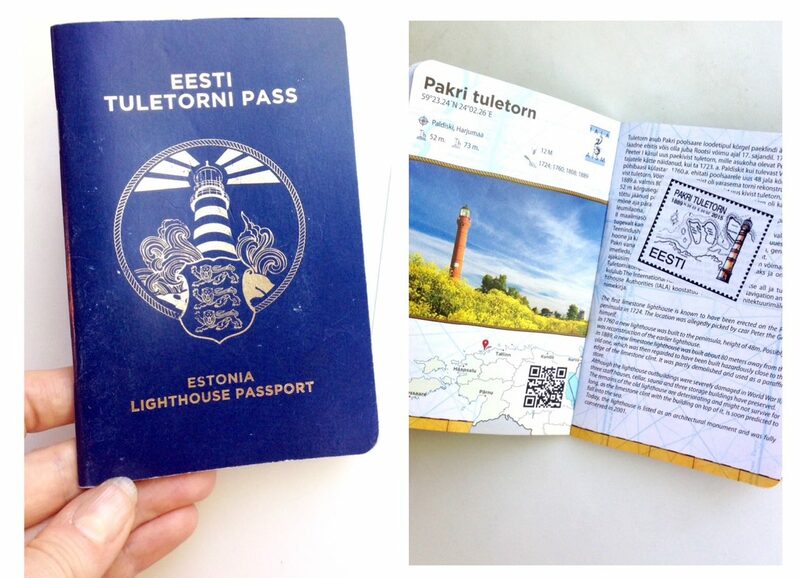 Almost =) Because right before our trip Tasha got a gift from Moscow friends – passport of Estonian lighthouses. And this little book changed our route a lot. Great news! 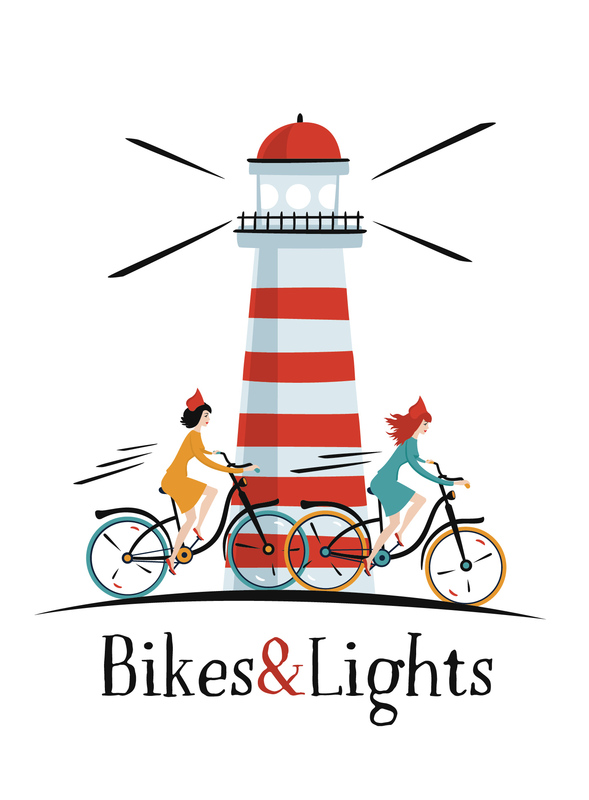 We are launching a new project Bikes&Lights – the spring journey around the lighthouses of Estonia! Meet the new blog 2girls2bikes.com! This spring our blog returns with a new project and an invitation to join our team! 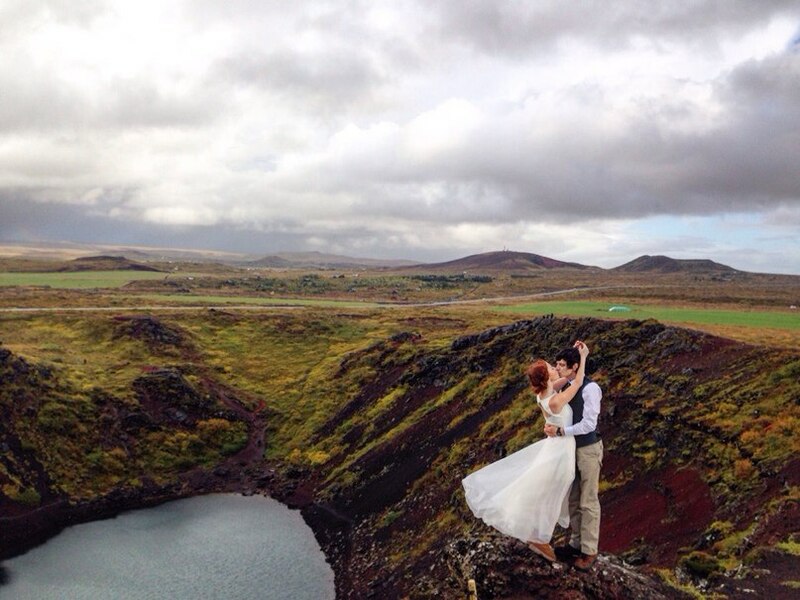 and Tasha was getting married on Icelandic volcanoes. In just a few days we will announce a new project and a new trip, which is coming up in the end of April. New route, new concept and new participant! One thing is not changing – our true friends Brompton bikes will be with us again! We believe this blog should keep inspiring people to travel – – with or without our participation. This is why we are happy to invite girls, who travel by bike, to join our team! If you have an idea of your own bicycle journey and you are looking for a ready-made platform for sharing your stories, you are welcome to post in this blog! Feel free to write: hello@2girls2bikes.com — share your plans and maybe your adventure will become the next project on 2girls2bikes.com! Mayor of London says Hi! Wowza! 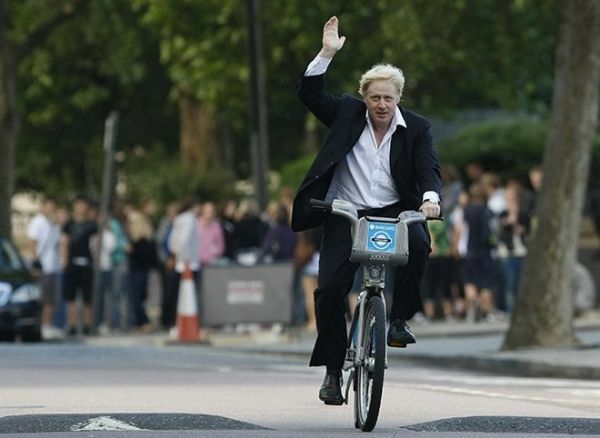 The “2girls2bikes” project was supported by the Mayor of London!